“They call me a vegetable,” Grace tells us. “They call me a corpse.” In this nimbly comic and deeply moving new play by Josie Walyus, a 14-year-old named Grace is literally in a coma. That’s how all the other characters see her: She suffered brain damage in an auto accident and is thisclose to dead. But in a brilliant theatrical stroke, Walyus portrays her title character fully awake and engaged..."
It’s had to believe 15 years ago Barbara Harman’s vision has grown into what is now the Catalogue for Philanthropy: Greater Washington. Today the Catalogue unveiled its Class of 2017-18. These nonprofits have been chosen to appear in the print Catalogue (to be released November 1st) and/or to be featured on the Catalogue’s website. The charities listed below have successfully passed a rigorous review process conducted by a team of 120+ experts in the local philanthropic field. Let them know that you are proud of their achievements: congratulate them with a “shout out” on Twitter using the icons next to their names. In June 2016, the DC Arts & Humanities Education Collaborative featured us on their blog, StoryBank! "YPT has a bold approach to closing the literacy achievement gap: give DC students materials to write, polish, and watch their plays come to life." Thank you for sharing our story, DC Collaborative! Click here for more! 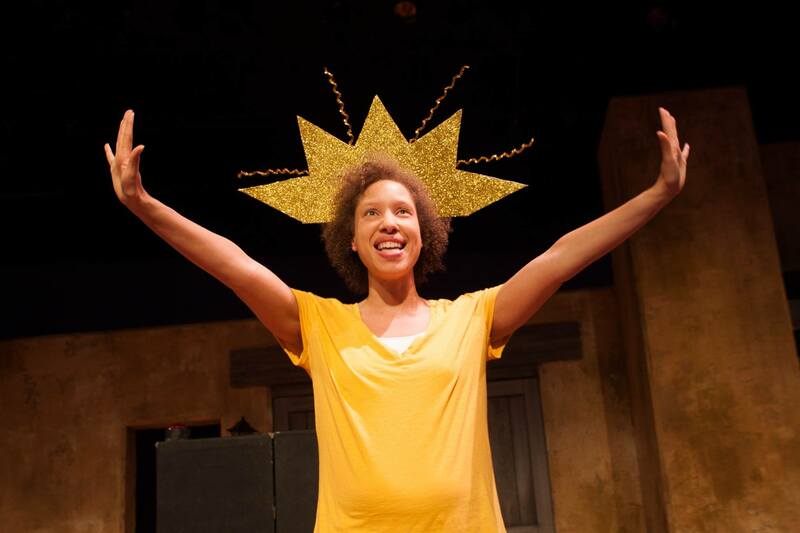 YPT playwright Jarid Shields shares her New Play Festival experience! 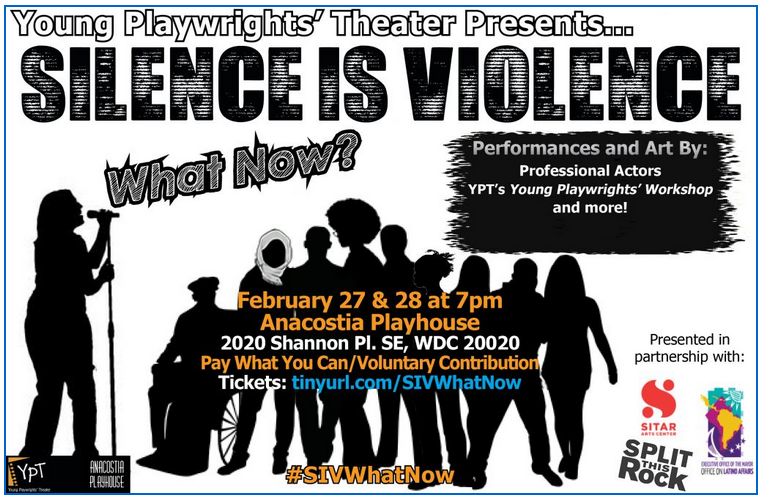 2016 New Play Festival Featured Playwright Jarid Shields wrote about her YPT experience for DC Metro Theater Arts, and she had some incredible things to say! "Reflecting back on my time with Young Playwrights’ Theater has made me think about how so many unique stories are hidden within the crevices of people’s minds and how beneficial this program and programs akin to it are for young, aspiring artists." Read on for all of Jarid's touching words! 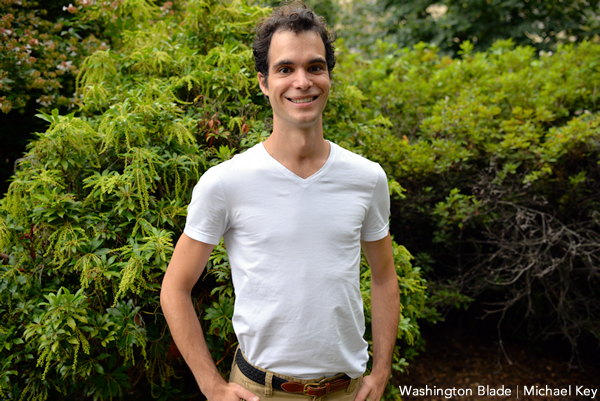 2016 New Play Festival Featured Playwright Marisa Poe also wrote a piece for DC Metro Theater Arts, and it is just as touching and articulate as Jarid's! "When my play was read, the actors made it absolutely hilarious, and it was the first time I really saw my play come to life. It made me feel proud that I could make other people laugh through my play." Click here for the full text of Marisa's terrific article! The Daily Do Good makes YPT its Featured Nonprofit! The Daily Do Good, a DC-area nonprofit that highlights the work of other local organizations, made YPT their Featured Nonprofit in September, 2015. Thank you to The Daily Do Good for spotlighting our work! Click here for the full article! Nonprofit newsletter The Daily Do Good came to Giving Back to the Future: YPT's 20th Anniversary Giving Voice Award Gala in March, 2015, and shared their kind thoughts on their blog! "Four young, Black high school students are [sharing] their stories on an array of issues that are important to them ... in plays that are set to make audiences cry, laugh, and perch on the edge of their seats." Click to read The Afro American Newspapers of Washington, DC's coverage of New Writers Now! #nofilter, February 2015! YPT Talks Up our 20th Anniversary and 20Fest on "Let's Talk Live!" In December, 2014, YPT was invited to appear on NewsChannel 8's morning talk show, Let's Talk Live! In November 2014, YPT Communications Associate Jeff Gilliland sat down with nonprofit communications podcast Through the Noise to talk about empowering the arts through digital and social media! YPT Wins the 2014 Washington Post Award! After being named a Finalist two years running, we were honored and humbled to receive the 2014 Washington Post Award for Excellence in Nonprofit Management, from The Center for Nonprofit Advancement and The Washington Post! The recognition is a true testament to the power of our work and our community. Click here to read the full article in The Washington Post! Our friends at DC Metro Theater Arts stopped by Night One of the New Play Festival and wrote this wonderful piece on our elementary school plays! "The caliber of creativity and cohesive storytelling that was present in these plays shows that there is a great deal of hope and potential for future generations of plays." While we continue to deepen YPT's impact at home in DC, major media outlets in South Texas are sharing our work at Garcia Elementary School in Hidalgo County - and the news keeps getting better and better! Read what The Monitor, South Texas' largest newspaper, had to say about the difference our In-School Playwriting Program is making with Garcia's bilingual, imaginative and excited fourth graders! The leading source of the "who, what, when and where" of the Washington, DC social, professional and philanthropic scene, Pamela's Punch sets the standard for the premier events in the District. Correspondent Lindsey Clark attended our 2014 Giving Voice Award Gala and wrote this wonderful piece encouraging people to come out and support arts education! Click here to read the article, and click here to see all of Pamela's Punch's past coverage of YPT events and performances! DC Theatre Scene Pulls Back the Curtain on "Truth and Dare"
"If we start saying, 'Your voice matters' instead of 'Wait until you’re older,' perhaps the next generation will be more inclined to raise their voice and claim their space. 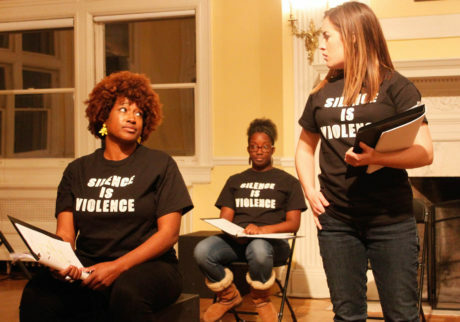 YPT performing student plays is activism in its most direct form." Read all this and more in DCTS's wonderful review of New Writers Now! Truth and Dare! Motor City blog Detroit Unspun wrote a terrific piece on the 524 Project, the collaboration between YPT and Detroit's InsideOut Literary Arts Project that will connect a Detroit poetry class and a DC playwriting class via twenty-first century technology. "If we listen closely, I think we’ll hear a new definition of Detroit, one that accepts the past, redefines the present and gives us fresh perspective on the future." The Scene DMV attended the 2013 New Play Festival to learn more about YPT’s programs and performances from Executive Director Brigitte Moore, Festival playwright Gi’Armoni Dorsey and YPT alumna Cecelia Jenkins. Click here to watch the piece. "Is there a young Shakespeare here?" Man About Town’s Bob Madigan interviewed YPT alumni Shannon Marshall and Paul McCoyer about their experience in YPT’s In-School Playwriting Program and how they feel about being published playwrights. Cat joins, but then she learns about the secret rules, and…well, you’ll just have to read the play after you buy “Write to Dream,” the newly published collection from the Young Playwrights’ Theater. 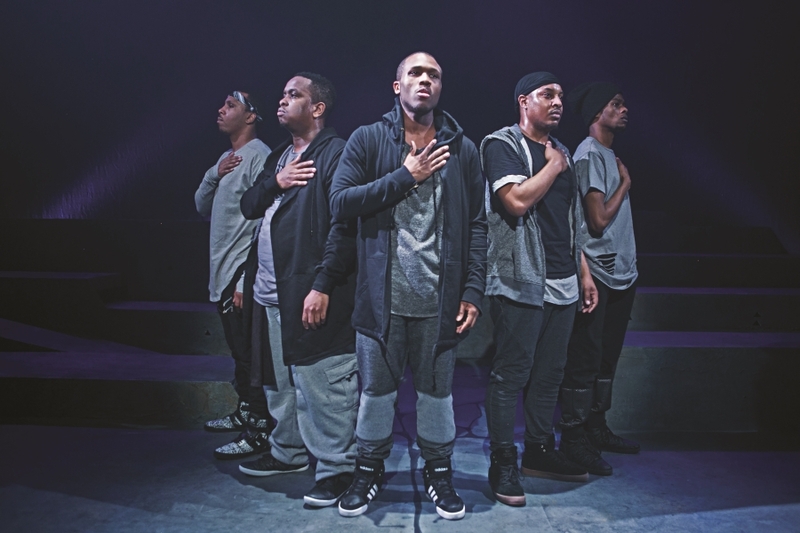 The Catalogue for Philanthropy Discusses "Write to Dream"
"In browsing through the 350+ page book, I was inspired by the creativity, imagination, and honesty of YPT’s playwrights — and the maturity of content that many of their works expressed." 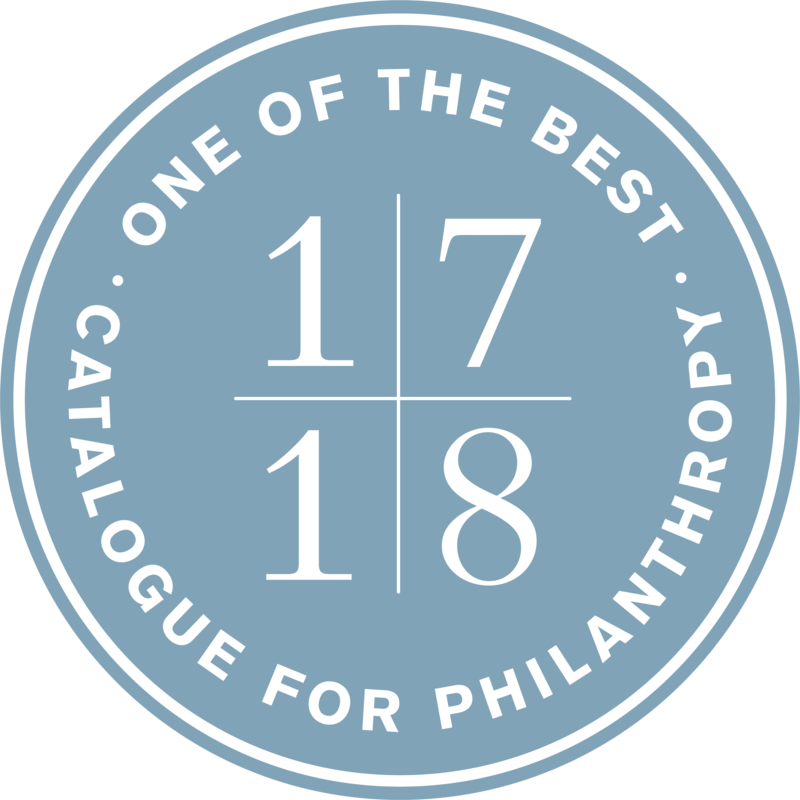 Read the full article on the Catalogue for Philanthropy blog here. YPT recently participated in the first ever #GivingTuesday, and donor and Company member Vanessa Strickland was interviewed in the Washington Post about why she chose to support YPT on a day of giving back. Read the full article here. YPT’s Young Playwrights’ Workshop was featured in an article in the Washington Post blog The Root DC. Learn about their June 11 play, "Welcome to Our World", here! The Washington Post highlights YPT as a collaborative, innovative nonprofit in this article. The Post sponsors the Award for Excellence in Nonprofit Management, an award YPT was honored as a finalist for in May of 2012. In May of 2012, YPT was honored as a finalist for the Washington Post’s 2012 Award for Excellence in Nonprofit Management. Learn more about the award here and read a blog post on the award by Catalog for Philanthropy here. "At times, I felt as though I had been allowed into a world my children rarely let me see..." Read the full review here! On February 14, 2012, DC Theatre Scene’s Larry Bangs wrote a rave review of New Writers Now - Mad Love! A week later, on February 21, Larry was interviewed by WTOP’s Bob Madigan about his review! Listen here. Producing Artistic Director and CEO David Snider is "Putting the Arts in Arts Management." Click here to read the full American University article. CEO David Snider tells theatreWashington "Why Theatre Matters"
"I know that as I reflect on important moments in my life when I truly learned something, most of them didn’t happen sitting silently at a desk." Click here to read more about why theater matters--especially for young people. Program Manager Nicole Jost Featured in Washingtonian's "List of Women to Watch"
"These ladies may not have made the list of 100 most powerful women in Washington this year, but at the rate they’re going, they’ll land there soon enough!" See what they had to say about Nicole here! The reviews are in for "Out of the Shadow"! DC Theatre Scene and Maryland Theatre Guide loved the Young Playwrights’ Workshop’s performance of Out of the Shadow at the Capital Fringe Festival! Check out the DC Theatre Scene review here and the Maryland Theatre Guide review here. WAMU stopped by the office during rehearsals for Out of the Shadow to talk to the students about the play and give audiences a sneak peak. Listen here. YPT’s Young Playwrights’ Workshop was featured on WJLA’s segment Harris’ Heroes. Watch some behind-the-scenes footage as Workshop students prepare for their performance of Out of the Shadow at the Capital Fringe Festival and talk about why bullying is such an important topic! 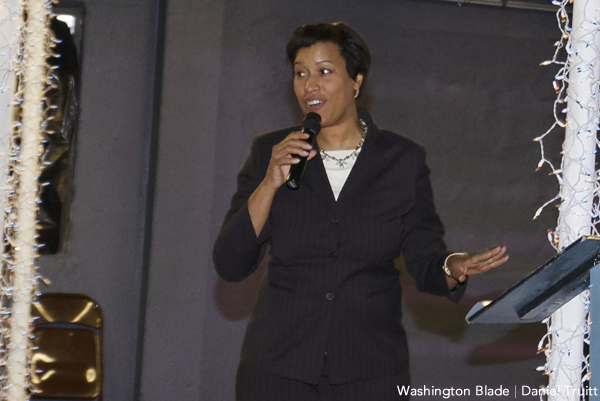 Greater DC Cares celebrated the 2011 Impact Summit Award winners in the Washington Post on Tuesday, June 21. Among the recipients was YPT Producing Artistic Director and CEO David Snider, winner of the Essence of Leadership Award. New Writers Now! - Luv in the Time of Txting playwright Fatima Rodriguez was featured in an article in El Pregonero. Read about her experience with YPT’s In-School Playwriting Program and the live performance of her play on May 23. YPT was featured in a story by the Washington Post about Woodlawn Cemetery and the performance of Woodlawn at the National Geographic Museum on Thursday, March 10. Young Playwrights’ Theater has been chosen for recognition as a 2010 Coming Up Taller Semifinalist by the President’s Committee on the Arts and Humanities and its partner agencies, the Institute of Museum and Library Services, the National Endowment for the Arts, and the National Endowment for the Humanities. YPT was chosen as one of 50 semifinalists from over 459 nominations from 48 states, the District of Columbia and Puerto Rico. According to the letter we received on May 12, "Your program’s selection as one of the 50 semifinalists distinquishes it as one of the top arts- and humanities- based programs in the country." The letter was signed by Rachel Goslins, Executive Director of the President’s Committee on the Arts and Humanities, Marsha Semmel, Acting Director of the Institute of Museum and Library Services, Rocco Landesman, Chairman of the National Endowment for the Arts, and James A. Leach, Chairman of the National Endowment for the Humanities. Award recipients will be chosen from among the semi-finalists by the end of June. To see a complete list of semi-finalists click here. Gentrification was the subject the students in the Young Playwrights’ Theater were assigned to tackle and make into a play. Some students had never heard of the word, although they were living in the midst of it, walking through it each school day in Columbia Heights where their after-school program on playwriting is located. Watching stores go up and trees come down, and neighbors disappearing and new people coming in and the bright lights of Target and Best Buy replacing dingy old buildings. At least some people thought they were dingy. To view the complete text of the article, click here. The Post’s Jane Horwitz writes about YPT’s Producing Artistic Director, David Andrew Snider, winning the Meyer Foundation’s Exponent Award. In 2007 Young Playwrights’ Theater partnered with the White House Historical Association and the John F. Kennedy Center for the Performing Arts to create Chasing George Washington: A White House Adventure. The show is slated for a National Tour in the Fall of 2009. Click here to learn more about Chasing George Washington. Click here to see the whole story on the ABC News website.